You have no music to learn. Southern Sounds Chorus has been singing since 1991. They first formed as "The Mornington Bay Chorus", under musical director, Lauris Clota. They were based and rehearsed in Mornington, Victoria. In 1996, there was a change of name to reflect a wider geographical membership and audience, to "Southern Sounds Chorus" and a new director, Marian Reinsch. Marian took the chorus to national competitions in Adelaide and Perth. The chorus was based in Frankston and sang to audiences across the Mornington Peninsula and the southern suburbs. Lorraine Stackpoole took over the directing reins in 2001, taking the chorus to competitions in Wollongong, Adelaide and Brisbane. Still based in Frankston, the Chorus attracted members from as far away as Mentone, Narre Warren and Red Hill, as well as more local areas of Mt. Eliza, Mornington and Frankston. In 2007, Southern Sounds gained a new director, Catherine Bechaz. 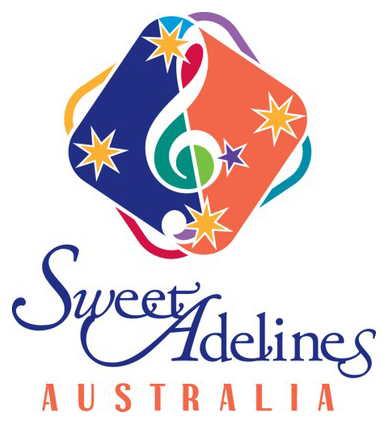 Catherine led the chorus to competitions in Hobart, Newcastle and Canberra. The Hobart convention in 2009 was particularly memorable, with the chorus achieving the most improved score. This has provided a foundation to continue to develop and grow in musical skills. In 2010 the Chorus entertained with a lively show 'Chase the Dream'. In 2014 "A Sprintime Musicale" a war time love story, was performed at the George Jenkins theatre. In May 2015, Catherine led the chorus to competition in Hobart, where we were delighted to acheive our highest ever score of 513 points! In 2017, Catherine decided to step down as director to spend some more quality time with her family and enjoy some sunshine up North, and we were delighted to welcome Karen Dawson, a long standing member of the chorus, as our new director, assisted by Lorraine Bulwyn. Karen has lots of directing experience, being a previous assistant director in the chorus, and tenor section leader for many years, as well as completing a large component of the arrangers program. We are very excited to see where this new journey will take the chorus. We are always keen to welcome new members to join us, and the chorus is always looking for chances to improve and learn from Australian and International coaches. Based in Langwarrin, weekly practises continue for upcoming competitions and a busy performance schedule. Recent appearances include Frankston Waterfront Festival, Mornington Peninsula Choral Festival, carol singing at various shopping centres, Eisteddfodd by the Bay and Waverly Eisteddfodd. We also perform for family and friends, run fund raising events such as fashion parades, shopping tours, sausage sizzles and finish each year with a WOW of a Christmas party! For membership enquiries contact Jennyne on 0438 783 475 or [email protected].